Mount Myohyang is one of the many natural wonders in North Korea that is left unseen by most travelers. Secret Compass photos. Here at GoNomad we crave to hear the stories from the companies and travelers that truly go off the beaten path. Secret Compass was founded by two UK Army Parachute Regiment officers, Tom Bodkin and Levi Woods. So we were quite excited to hear about what Secret Compass has in store for the coming months. The company is currently promoting their next expedition to a place that would make even the most well-traveled explorers weary — North Korea. That’s right, North Korea! Secret Compass has two upcoming expeditions, in May and October of 2017, to one of the world’s most elusive countries. 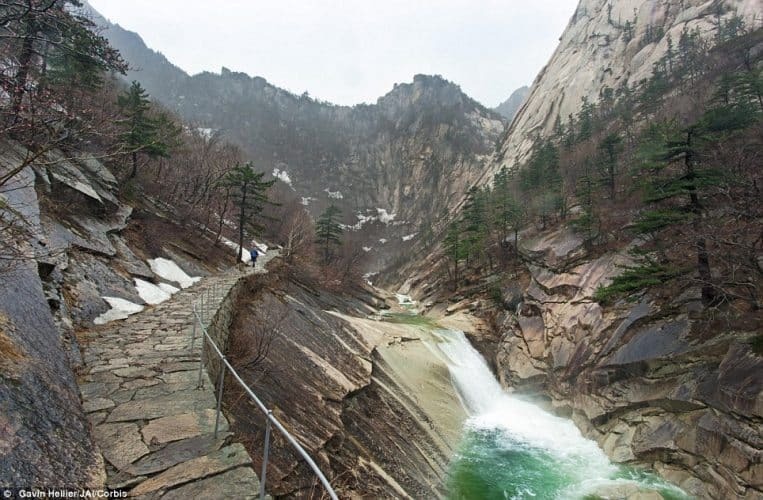 The trip is tailored towards travelers with an interest in hiking and in history, as the itinerary includes climbing Myohyang’s highest peak and visiting the demilitarized zone at North Korea’s southern border. Who Really Does This Type of Travel? Secret Compass is a company that aims to redefine what is possible for travelers. The company likes to challenge its travelers, encouraging them to try things they would never do and see places most people wouldn’t dare to see. Their past expeditions have included places like Siberia, Afghanistan, and South Sudan, just to name a few. Secret Compass is certainly a contender for the most intrepid tour company across the globe. 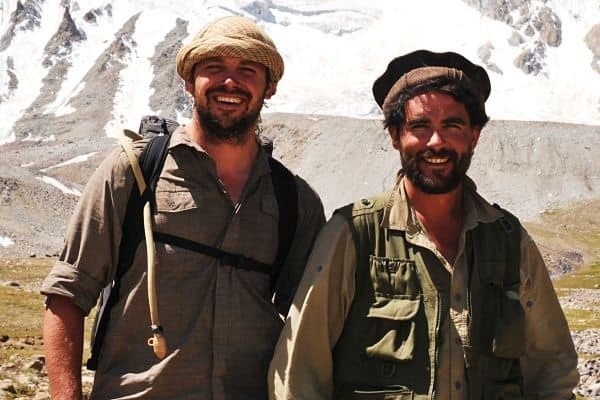 The company was founded in 2010 by Tom Bodkin and Levison Wood, both of whom are former officers in the UK Army’s Parachute Regiment. Tom is a Secret Compass pioneer because of his adventurous spirit and his unrelenting determination to make difficult-to-reach locations more accessible to travelers. He’s created mountain biking routes in the Wakhan Corridor in Afghanistan as well as routes through Upemba National Park in the Democratic Republic of the Congo. He holds tour guide certification is everything from Security Risk Management to Medicine in Remote Areas in Wilderness First Responder. His partner, Levison Wood, is well-known in the world of adventurers. He is a Sunday Times bestselling author for his book “Walking the Nile” and “Walking the Himalayas”. And his 1,700 mile walk from Afghanistan to Bhutan has been made into a five-part documentary series. Wood’s aspirations for his upcoming expeditions seem limitless, as he plans to take on trekking through Central America and North America. With these two designing the trips, you may receive an itinerary for a Secret Compass tour, but travelers never truly know what they’re going to experience. These trips are not for the faint-hearted, but they are most certainly accomplishable. 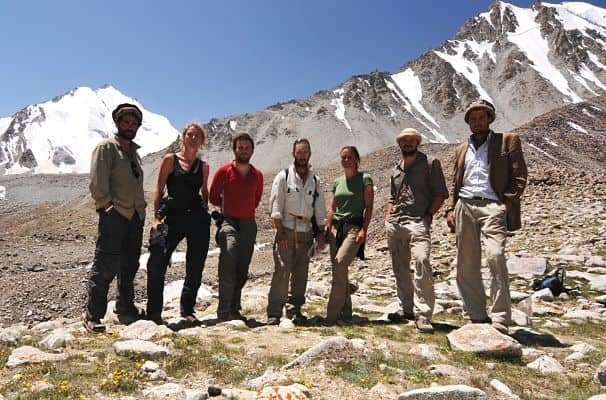 Both the Secret Compass employees and the travelers that have gone on Secret Compass expeditions in the past claim that the reward of such an adventure is insurmountable. Secret Compass’s North Korea expedition allows its travelers to experience the culture firsthand. “What our team achieved is only now sinking in. Three weeks ago none of us knew each other, two weeks later we had successfully trekked through remote jungle and pack rafted across the equator to our end destination. It was tough in parts but everyone needs a certain amount of Type Two Fun to really appreciate what they’ve achieved”. Other reviewers have confirmed this notion of a “the greater the risk, the greater the reward” post-expedition feeling as well. “Type Two Fun” is certainly a fitting term for the trips, as most people would shy away from the idea of putting themselves in risk or pushing their bodies to the extreme. Bodkin claims this his travelers are united “through their adventurous spirit and urge to get a little bit more out of life”. When the risk factor is elevated in this type of travel, preparation is mandatory. All of the expeditions include safety regulations, guidelines, and prep work to develop skills in order to think clearly in high-stress situations. Secret Compass leaders would never go into an expedition if they did not feel highly confident to react to likely and unlikely situations effectively. The Secret Compass staff is comprised of skilled leaders that are highly trained and certified for all types of expeditions. In terms of a trip to North Korea, most of the preparatory work done by Secret Compass was bureaucratic. The Secret Compass team has been working tirelessly to negotiate with North Korean authorities to allow this kind of international travel to take place. But there’s a lot more to the country to discover than the media portrayal and the propaganda. The physical aim of the expedition is to explore North Korea’s national parks which include beautiful, spanning horizons that are left unseen to most eyes. 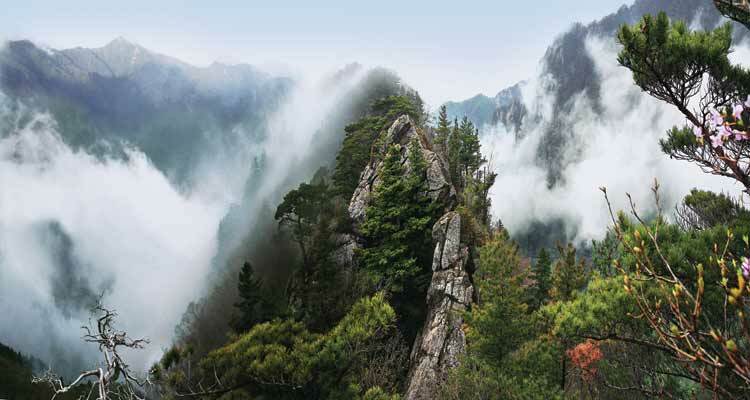 Mountains include Mount Myohyang and Mount Kumgang, both of which have been nominated to become a UNESCO protected area. Mount Myohyang is locally considered a sacred site, as it known by North Koreans as the home of King Tangun, the forefather of the Korean people. Exploring this land leaves visitors not only in awe of the unknown fragrances and the odd shapes in the mountains, but also in awe of the history and the culture unbeknownst to so many. Mount Kumgang is one of the many stops for travelers on the North Korean Secret Compass expedition. The expedition also aims to highlight North Korea’s culture by encouraging the adventurers to experience the cuisine, the cities, and the people firsthand. Secret Compass knows that, when traveling in remote places and in locations with strict federal regulations, there will inevitably be external forces that can make plans change in an instant. Because of this, Secret Compass does not design its trips with day-to-day, set routines, but rather through framework itineraries. The guides set goals for what needs to be accomplished during the trip and seek to meet all the necessary stops when they see best fit. Some of the highlights of the trip include: the Grand Theatre, Kim II Sung Square, Pyongyang Metro, and Juche Tower. Few have visited North Korea. The number of international visitors remains in four-figure amounts annually. Yet, Secret Compass has recognized the potential that visiting North Korea has. It actually provides benefits to both North Korea and the international traveler willing to take this adventure. 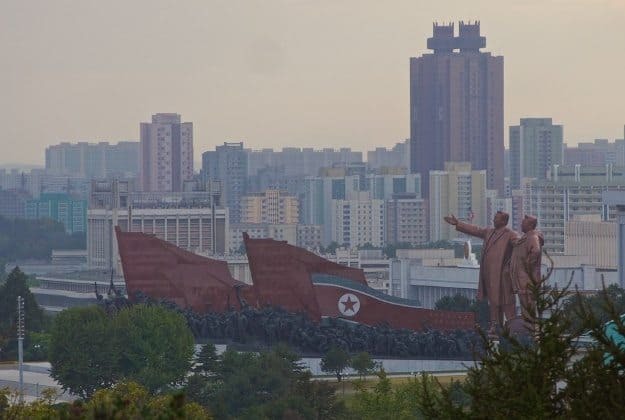 The traveler that comes to North Korea is granted a new perspective, simply by knowing what truly happens in the country, an understanding that extends far beyond the media headlines. And for North Korea, international tourism allows the locals some exposure to the outside world and the chance to share their culture and their history with the world in a new light. The trip to North Korea will not be easy for travelers and the company alike. There is bound to be disputes with local authorities and some serious culture shock for international travelers. But with Secret Compass leading the way, it’s also bound to be an unforgettable experience.